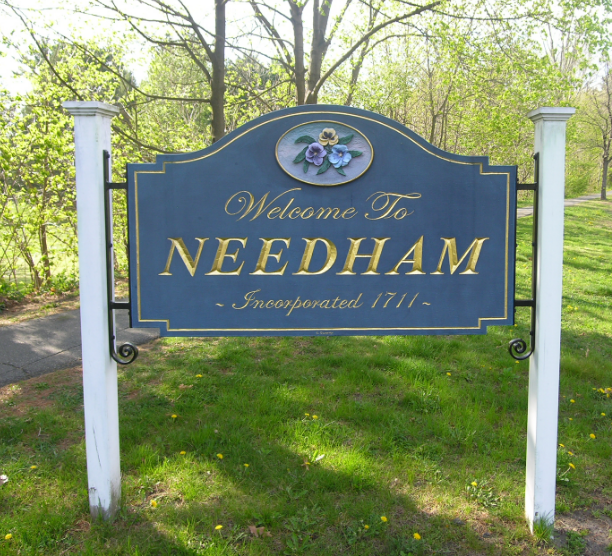 The town of Needham is a popular, and highly sought, suburban community located ten miles outside the city of Boston. It is situated around Route 95, and combined with five train stops dispersed throughout town, make it an excellent commuter location. One of the oldest towns in the Commonwealth, Needham has population of about 28,000 people spread across its 12.7 square miles. There is a strong sense of community in Needham, which still relies on town meeting participation to preserve the past and improve upon the future. They have an excellent Parks and Recreation Department offering programs for all ages and have been designated Tree City USA. Driving through Needham you’ll see a complimentary mix of popular new home developments, as well as many of the cherished old-fashion New England neighborhoods that sprung up over the course of the last century; these homes consist mainly of Capes and Colonials. There was a time when buyers looking for real estate in Wellesley or Weston would, perhaps, turn their attention towards Needham, in hopes of getting more house for their money... but that is not the case these days. Needham has invested heavily in improving their school system, both structurally with a $62 million renovation to the Needham High School, as well academically where they've put a heavy focus on curriculum and how their schools are run. This investment has paid big dividends as the school system continues to improve among the rankings of Boston's Best. Private Schools in town include St Joseph's Elementary, St Sebastian’s secondary school and the top ranked Olin College of Engineering. Needham has also seen it's downtown area transformed over the last few decades. It is now home to some terrific shops and restaurants, including one of our favorites-Sweet Basil, a delicious Italian restaurant in the town center. Other local favorites among residents include Abbott’s Frozen Custard, Harvey’s Hardware, Trader Joe’s and Volante Farms. A fun fact to share about Needham is that they share the oldest Thanksgiving Day, High School Football rivalry in the Nation with the bordering town of Wellesley. This rivalry dates back to 1882!